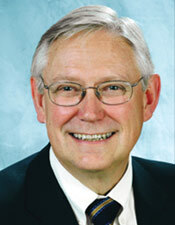 Dr. Kenny is a Professor of Dentistry, University of Toronto and teaches at the University's School of Graduate Studies. He has served as Dentist-in-Chief at the Children's Hospital of Eastern Ontario (Ottawa) and The Hospital for Sick Children (Toronto). Dr. Kenny is currently staff pediatric dentist at SickKids where he answers emergency calls and treats dental injuries. He is a long-time member and currently a Director of IADT, and has published over 40 scientific papers on dental trauma and lectures internationally.